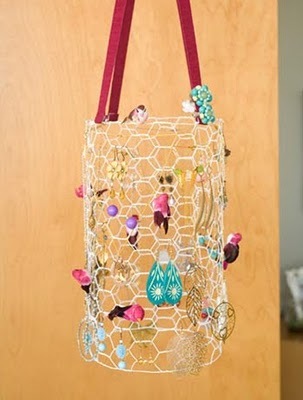 Bonnie from Uncommon Designs came up with a clever jewelry storage solution using a thread rack! I like this idea! 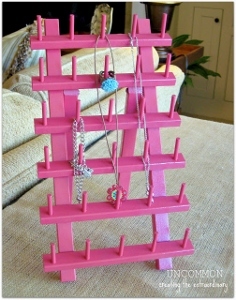 Read all about how to make your own Jewelry Holder from a Thread Rack here. 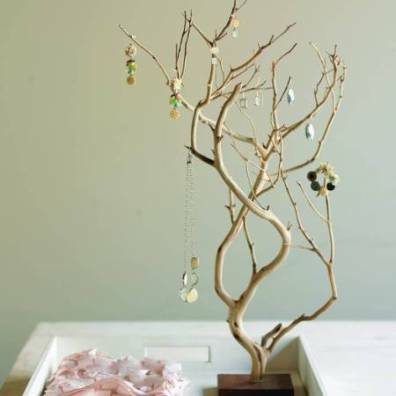 Take a look at these clever jewelry ideas from around the Web and learn how you can make your own Jewelry storage system. You don’t need expensive cabinets when you can DIY your own storage for your jewelry. 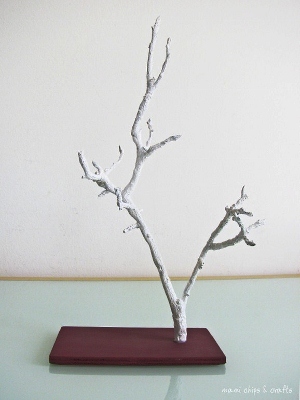 This beautiful Jewelry tree looks like something that would actually do the job whilst be visually appealing.